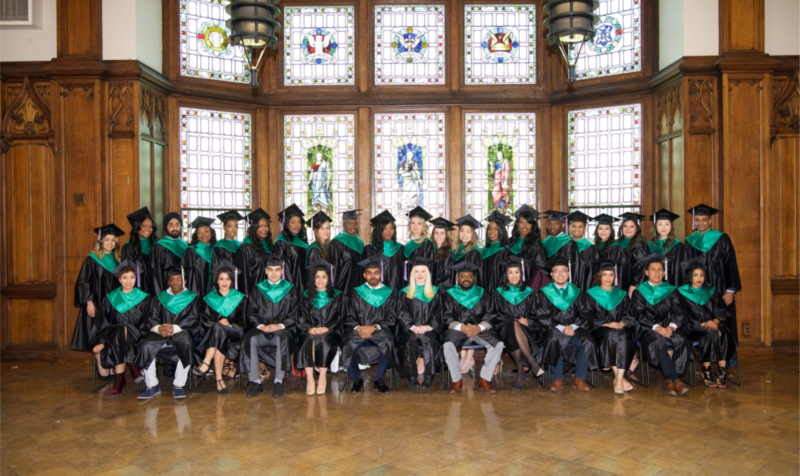 The Great Hall was filled on Friday, January 26, 2018, all present to celebrate a great achievement as 34 graduates of the Physician Assistants Program received their diplomas. Interim Assistant Dean and Program Director of the PA Program welcomed all in attendance and offered heartfelt congratulations to all the graduates along with Dean Maurizio Trevisan and President Vincent Boudreau. Dr. Jacqueline S. Barnett, Associate Professor at Duke University School of Medicine gave the keynote address, encouraging the graduates to never lose their commitment to their patents and providing compassionate care to those in need. She shared her own commitment to serving underserved populations and the importance to engage in activities to improve healthcare access and outcomes as well as education to individuals most at risk. “Everyone worked so hard to prepare us for this critical LCME site visit,” stated Dr. Maurizio Trevisan, Dean of the CUNY School of Medicine. “It is a milestone in our school’s history and a critical step in the future success of our medical students as they must graduate from an accredited medical school. Dr. Friedman provided outstanding leadership and perseverance in ensuring everything was addressed. Indeed, Erica was critical to this effort, and I cannot thank her enough,” the dean said recently. He also stated that the school will receive the official report in about two months, and that the LCME Board will be presented with our submission in June for determination and accreditation status. All accredited medical schools in the US and Canada must address and be compliant with 94 elements. Out of the 94 elements, the site team mentioned five elements which require further attention and review which include improving student satisfaction in debt management counseling, availability of research opportunities for medical specialties, academic counseling and tutorial support to improve student outcomes and availability of career counseling. The site team acknowledged that we are in the process of addressing these elements and need time to assess our effectiveness. MISSION: The mission of the Inclusive Excellence Council is to provide leadership for fostering a diverse and inclusive learning and workplace environment that supports personal and professional excellence through strategic, focused and effective initiatives and activities that promote inclusiveness and equity in recruitment, retention and advancement for all students, faculty and staff. 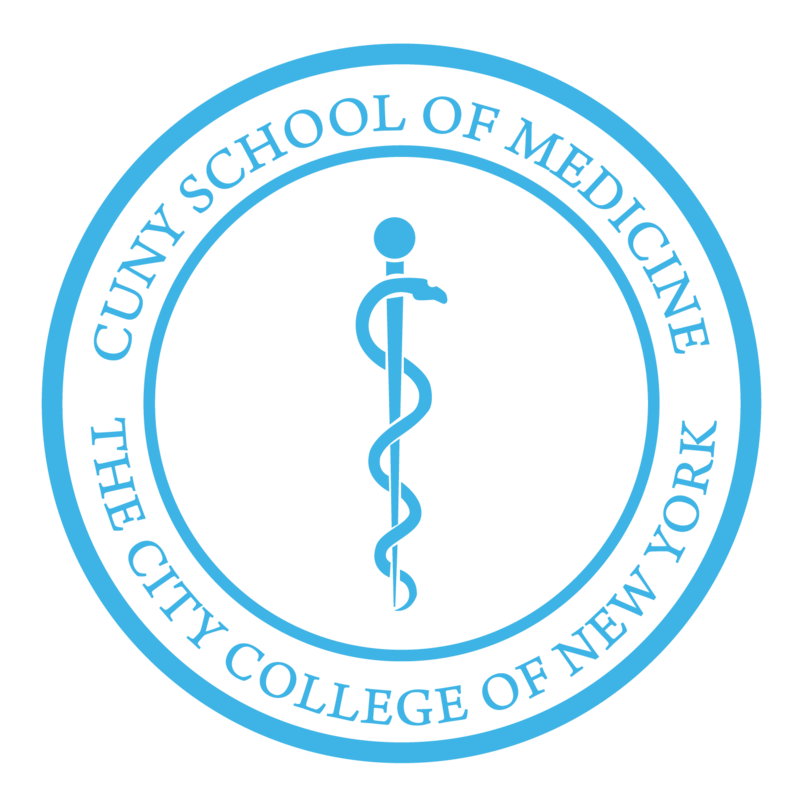 VISION: The vision of the CUNY School of Medicine’s Inclusive Excellence Council is to be a transformative agent that recognizes diversity, inclusion and equity as core to the development of excellence and compassion, and that seeks to foster a climate that is welcoming, supportive and conducive to the success of all members of the medical school community. The Council publishes a newsletter twice each month to keep faculty, staff and students up to date on activities related to achieving an all-inclusive, safe environment. In December, Dean Trevisan distributed the Framework for Restoring Trust that outlined a detailed plan for improving our working and educational environment as it relates to diversity and inclusion. This plan included a recent visit from an external panel of experts to assess our current climate by meeting with stakeholders and reviewing current practices and policies. Drs. M. Natalie Achong, J. P. Sanchez and Carol Storey-Johnson visited our school on January 25 and 26 and spent an intensive two days finding out what is on the minds of our faculty, staff, students, parents and alumni and how they felt about recent events and perceptions of effectiveness. Their report is slated for completion mid-February. The Dean will discuss recommendations with the CSOM community. The Framework also includes climate surveys, cultural sensitivity, implicit bias and micro-aggression awareness training, creation of a rapid response team, curriculum review, and other key efforts to help us achieve the positive, supportive, diverse and inclusive environment we all desire and deserve. · WALK WITH A FUTURE DOC: Thursdays at 12:30 pm and one Saturday a month with the pipeline students. Email CHASM@med.cuny.edu to be added to the WWFD email list. CHASM has moved into their new space on the third floor. The fourth floor small group rooms are the next priority.